Use the largest sporting event on the planet as an excuse to get together, laugh and learn more about the challenges God places upon us. 1. Throw a Friday night opening ceremony party for families. Show the ceremony (Friday, August 5 on NBC—check local listings for time) on a big screen (outside weather permitting). Ask people to invite their neighbors. Provide popcorn and soft drinks and water. 2. Preach or start a sermon series on “running with perseverance the race marked out for us” (Hebrews 12:1). The race could be applied to the upcoming school year for kids and students. 3. 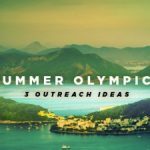 Host a goofy Olympics night for youth. Set up your own Olympic games with medals for the winners. Serve pizza and have the real Olympics on TV in the background. Encourage teens to invite their friends. 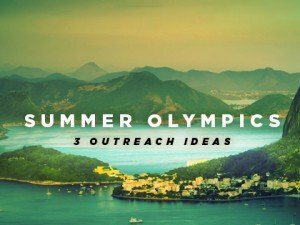 Add your ideas to summer olympics 2016 outreach ideas in the comments below. Sunday school has a long history of being an evangelistic tool of the church. 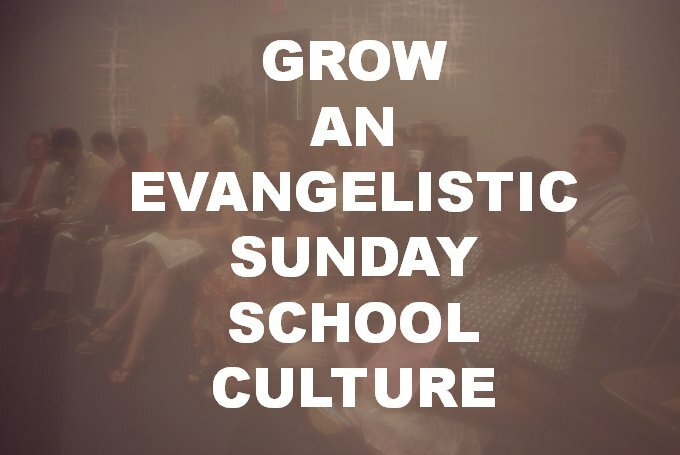 I’ve visited growing churches that utilize their Sunday School to not only grow their members, but create a space where newcomers can connect and discover faith. 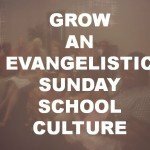 Recently, a small church pastor asked me about how to make their Sunday School evangelistic. They are a small church in a semi-rural and under-resourced community. I get the sense from the pastor that members have an apathy about Sunday School that may be hard to over come. As I listened to the description and function of their existing Sunday School, I found myself discouraged. It was full of barriers to entry of newcomers, barriers that would prevent invitations of friends, and barriers that would discourage meaningful learning. I don’t want to elaborate on their specific problems. Instead, I want to share with you 3 key elements they need to put in place. 1. Create a safe context for newcomers who are not yet believers. Your newcomer is in a place of stepping into a group of people for the very first time. Will they feel freedom to contribute their opinions? Will they be invited back for the next week? Will they feel like it was worth their time to make the investment next week? Will their opinions be respected, even if their theology is not biblical? Your newcomer needs to feel valued and respected. Even if they say something that you disagree with, can you disagree with grace instead of being a fountain of correct biblical theology? Nothing will kill spiritual thirst faster than well meaning Christians who have to correct bad theology. We made this mistake in an evangelistic small group. We killed the safety of the evangelistic small group the first night and never recovered. The Christians had become a verbal fire hydrant of truth, ready to convince someone that they have to follow Jesus. I’ve seen many people become Christians within 4-6 weeks of joining a group where they finally trust the people in it and realize they can ask their questions without getting a sermon in response. Is your Sunday School class a safe place where seekers can safely ask their legitimate questions? 2. Create a culture of evangelistic prayer. Your existing Sunday school members will need a regular reminder to pray for their friends by name. Have your class make a prayer list of friends whom you’d like to see following Jesus. We might mentally agree to the the idea, but to actually make the list and use it may still be a challenge. I’ve put together my practical model to make a friends prayer list today. Some would say to put the list on a wall in the classroom, but I prefer to keep that list private and with my journal. Beside the names on the prayer list, I’ll note specific prayer requests. The idea is to get beyond the generic “I pray for Jose and Martha” and into more specific areas. People are in different places in their spiritual journey. As I write each name, I ponder what might their next step be? If they are hostile to God, how I can pray that they may start seeking God? If they are seeking God, how can I pray they would talk with me about how I found God? If they are studying the Bible in their search, I’d like to pray that God’s word would speak. In other words, I try to pray in accordance with the work that God might be doing in their spiritual life already. As the leader of the Sunday School, it is your job to set the pace and hold your current class members accountable for praying for their friends. I hold the philosophy that evangelism is a process of sowing, cultivating, and reaping. 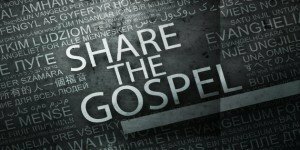 Some people would define evangelism strictly as an event – the verbal proclamation of the gospel. Instead, I see evangelism as a process. When I listen to testimonies, I see the journey of awakening, gathering evidence, reflecting on information learned, doing some reading, and talking out loud with friends about what one is learning of God. It is a process of sowing, watering, cultivating, tending, weeding, and preparing a fruit for harvest. You’ll want to encourage your Sunday school members to plant seeds for the gospel by sharing about what they have learned this week. They don’t need to regurgitate the lesson, but reflect on a key point with a friend. This plants seeds for future conversations about faith. We talked about being a better husband. How do you want to grow as a husband and father this year? We talked abut how God answers prayer. Share a specific example of how that has come to pass. Have you seen a possible answered prayer? We talked about raising kids. I shared how I want to raise my kids to be a follower of Jesus. What do you want for your kids? In other words, encourage your Sunday school members to “verbally process” what they are learning with their non-Christian friend. That assumes they actually have non-Christian friends. Such conversation topics prepare a context for future gospel centered conversations. To cultivate this ethic, we use this one question very week. With whom can I talk with this week about this lesson? As I shared these three thoughts with the Pastor, it was clear they have a long way to go in adopting these three points. Their existing Sunday school structure doesn’t foster personal invitations. They admit that their material is boring, and they recognize that they’ve not created a safe space for non-believers. How they will change this is something they will need to work out. They will need to change in-grown patterns that have produced apathy. These three keys will not produce change overnight, but working towards them will start to create a different culture. These are just a few different ways to reset the vision for a great welcome in your church. On this MP3, I offer 13 more different ways and places where you can cast that vision in under 5 minutes at various places in the church life. 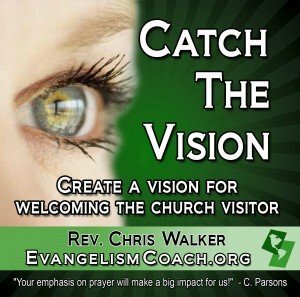 I want to help you answer how can you develop a passion within the congregation for welcoming first time visitors? In the United States, the Friday after Thanksgiving is a major shopping day. The media will show reports of Black Friday shopping crowds outside of major department stores and malls. People who are waiting to be nearly the first in line to get the savings on Christmas presents for family and friends. When the doors open, mayhem erupts and people get injured as crowds stampede through the open doors. Corporations are now beginning to open on Thanksgiving Day to allow people to shop after the big meal. I’m not a big fan of that scene, but the waiting lines that happen in your city or town can give your church an opportunity for a servant evangelism project. Servant evangelism is a simple way to market your church’s Christmas outreaches after Thanksgiving has passed. 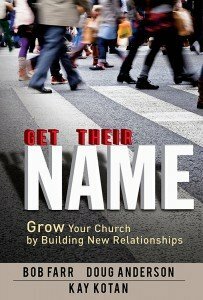 On the simplest level, servant evangelism is marketing your church. It involves some form of giveaway that meets a need, with an attached card that gives information about your church. 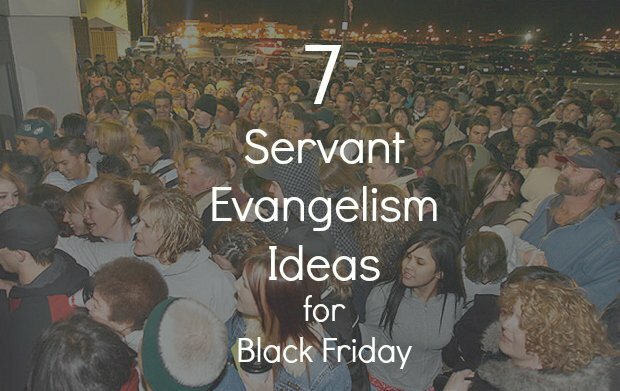 These servant evangelism ideas are useful any time of year, but post Thanksgiving and Black Friday crowds at malls present a natural crowd that you can bless. Your act of kindness can build the bridge for the person to receive a touch of love from God. You are showing the community that your church cares and does not exist only for itself. Add a invitation to church—even a simple card with your church’s name, phone number and times of services. They might come and hear more about Jesus during the Christmas season. You can add a comment that your church wants to bless the community, showing God’s love, with no strings attached. Be Prepared before Black Friday for Evangelism moments. Your act of kindness is not sufficient for people to hear the gospel. They might not even know that you are serving “in His Name” unless you somehow share that. The gospel does need words to accompany the good deeds. But attentive volunteers will recognize the nudge of the Holy Spirit in some interactions. Those conversation can turn evangelistic with a gospel sharing moment, or maybe even a prayer moment. Remind your volunteers to watch for those moments and be equipped with conversation skills. Always obey the rules of your locality, and know that you may need to secure permission of owners if you are on private property. For example, your local mall may be considered private property and security may not allow you to bless the people who have gathered. You’ll have to learn ahead of time what boundaries are in place and make sure you obey them. 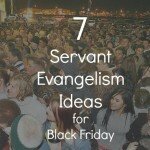 7 simple Black Friday Evangelism Ideas. Coffee with sugar and cream available. Be careful with the hot coffee. Prepackaged snack like raisins, trail mix, granola bars (go peanut free). Prepare some kind of connection card that gives information about your church, the church website, and service times. For more servant evangelism ideas, consider the book Outflow, Steve Sjogren and David Ping. Is your church doing any Thanksgiving Outreach? If so, please share in the comments. Give a brief overview and if you have a page on your church website that explains it, feel free to link to it. One frustrating problem for small church pastors is leading a church that has no desire to share their faith. How does that pastor begin to change that and overcome the natural resistance to personal evangelism? In my first church, we chose October 31 as a safe alternative to Halloween. We planned all sorts of children’s games, candy giveaway, costume contest, and all around fun. We mobilized lots of volunteers to run the games and our small church had a tremendous party every year. 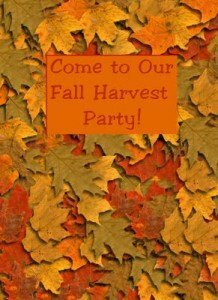 Our Harvest Party (we called it) celebrated some of the fun traditions of Halloween, without the scary costumes and without the occult overtones associated with the date. More and more churches will choose a Halloween Outreach to open up their doors and provide their community a safe alternative to knocking on doors. You might have done the same. You hope that residents in your community will bring their children to enjoy an awesome night of fun. If you host only church families and have not made your community aware of this, then you need to change your plans and find last minute ways to get the word out about your Halloween alternative or Harvest Party. If you are not thinking about reaching your community and using this event in your church, then you need to open up your hearts to your community. 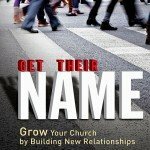 Your church is too inward focused. Are you preparing for guests at Halloween? Are members of your planning team thinking of church hospitality issues to welcome your visitors during your Halloween Outreach? Does your exterior lighting work? Do your church signage help people navigate your church building? Take a quick hospitality audit. Have you recast a vision to connect with the stranger who will come? Have you reminded people to be friendly with people they don’t know? Are your volunteers ready to make small talk with all the visitors? What will your guest experience that night at your Halloween Outreach? Will your church members take the initiative to make meaningful small talk and make a connection? Consider setting up a prayer station as one of the booths. Offer prayer ministry with people and families that might seek it out. Equip your prayer booth with literature about the church and promotional items about the next sermon series. Have appropriately trained prayer ministers there to offer prayer with those who seek it out. You might have the chance to talk with people in a safe 1-1 context about their faith journey, so be sure your ministry leaders are equipped to talk with people about what it means to follow Jesus. Maybe in some localities, it might be possible to finish the night with a bonfire. You can sing a few songs and share a short non-pushy devotional about being a follower of Jesus. Check with your local area about rules for bonfires. 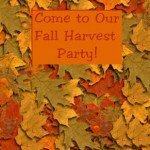 One thing that our church failed to do when I was there was to use this Harvest Party to invite people to a meaningful sermon series the following Sunday. We invited people to church, but I don’t recall anyone coming back. As I have reflected on that problem, I have come to realize that people have important stuff to do on Sunday. Their stuff is more important than attending our church (after all, they don’t go to church). If we can present a sermon series that starts the following Sunday that would be important to them, then there is a greater likelihood that they will rearrange their schedule and come. Use your Halloween Community outreach to promote your new Sunday Sermon series and maybe even some of your Thanksgiving and Christmas programming. The point is, plan ahead and create a “Come Back” event that your visitor might consider rearranging their Sunday schedule to attend. Your hospitality needs to shine during your Halloween Outreach. A good welcome experience will increase the likelihood of attending your next sermon series. Your guests should experience a good welcome when they come on Sunday as well. I’ve put an ebook together to help you review your hospitality systems in preparation for your Halloween Outreach and your comeback event. It’s good for all seasons of the church year. You might want to acquire your copy to prepare for your Christmas and Thanksgiving program. My pastor friend bragged on his church. A good form of bragging. I was excited for him. Stories of life transformation is part of what propels me to help churches with their evangelism and hospitality. Are you seeing life change? Hearing conversion stories is exciting. Being involved in a local church body where people are finding Jesus, experiencing redemption from their past, finding hope where they had none is a dream for me. I want to be part of a church that is helping people find Jesus. The power of the gospel in action is exciting. Newcomers come to church where they can encounter hope as they learn about what it means to follow Jesus. Transfers from other churches will stay in churches where the gospel is transforming lives. Keep inviting your unsaved friends to church. Help them to belong while they are searching and see how Jesus can change their life. Your hospitality will play a role in people inviting friends to church. Your hospitality will play a role in helping people come back to hear more of the gospel. Over the years, I’ve talked with several churches that have lost this vision. Their vision is survival, budget maintenance, or keeping the sheep well fed. For them, it’s all about discipleship. I don’t sense any excitement about the gospel’s power of redemption. In those churches, I’ve seen sighs of hopelessness, objections, and even instant pessimism that it’s not possible. They have lost the vision to reach people for Christ. There is no excitement about what Jesus can do. I wouldn’t want to stay involved in such a church. Even if I came for a few weeks because the people were nice, I don’t think I’d stay long term if the church doesn’t have a compelling vision to reach the lost. Hospitality is not the end. I encounter many churches that believe hospitality ministry will fix their attendance problems. That may be true short term, and I encourage churches to improve and fix their hospitality ministry. Improving your welcome can help you increase the number of visitors who return to your church. But hospitality is not the end. If there is no manifestation of gospel power over the course of time, many people will move on. If there is no excitement about people coming to know the Lord, some will move on. If there is no offer of the gospel, those searching for hope may drop out or go somewhere else. Having a nice auditorium or cafe is great and people appreciate it, but it will never do what only the gospel with do. Without having a culture of grace, the congregation often doesn’t feel free to invite people who need that grace. So in turn they only invite other Christians and don’t have the opportunity for people to respond to the message. We have worked hard on creating a culture of Belong, Believe, Behave. Our first objective is to get people to feel like they belong regardless of their past or present situations. Like Thomas, this gives Jesus the opportunity to show up to people. A good welcome helps people come back. But what my pastor friend is doing is helping people find faith in Jesus Christ. That’s what I can be excited about. Do you want to ramp up your hospitality? I’ve taken several of the top articles on EvangelismCoach and turned them into a downloadable ebook that you can purchase, rather than spend hours digging through the over 1000 pages on this website. It’s a shortcut to practical action steps. If you are leading a hospitality committee looking at these issues, buy your copy of How to Welcome Church Visitors and get a head start.